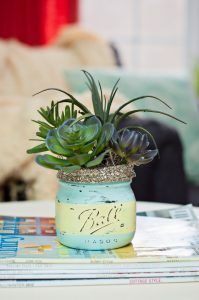 We found this adorable idea for a Spring Succulent DYI. These hearty plants make a wonderful gift for family and friends. Feel free to visit their website for a list of supplies and detailed instructions.